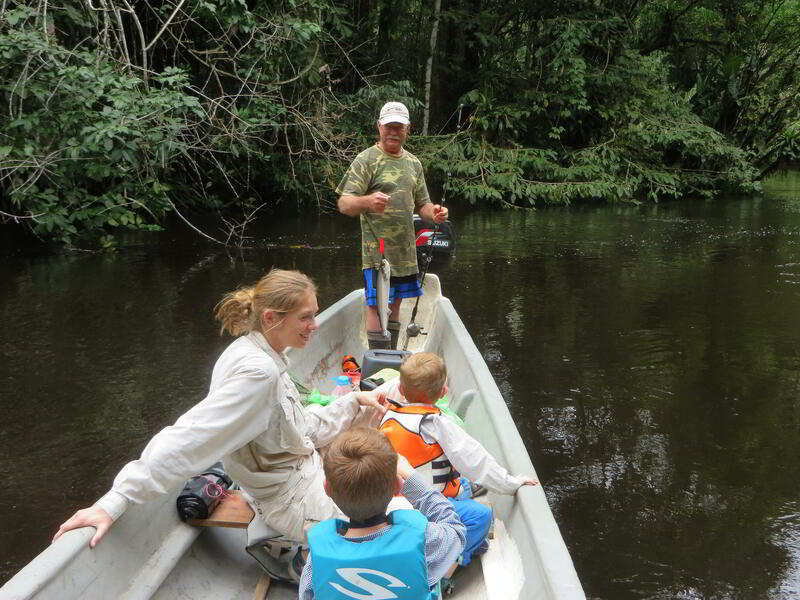 The relatively slow-flowing rivers and the lakes allow for black-water conditions which favor additional fish species and other aquatic life-forms in addition to the more common "coffee and milk" waters which are more common in the Amazon. 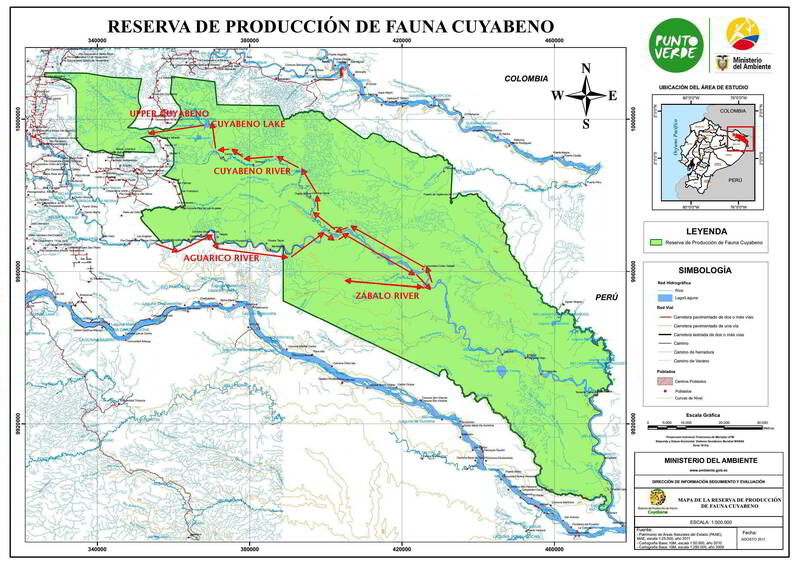 Cuyabeno is located right on the Equator, with relatively little seasonal variety to the extend that rain even fall during the "dry season". 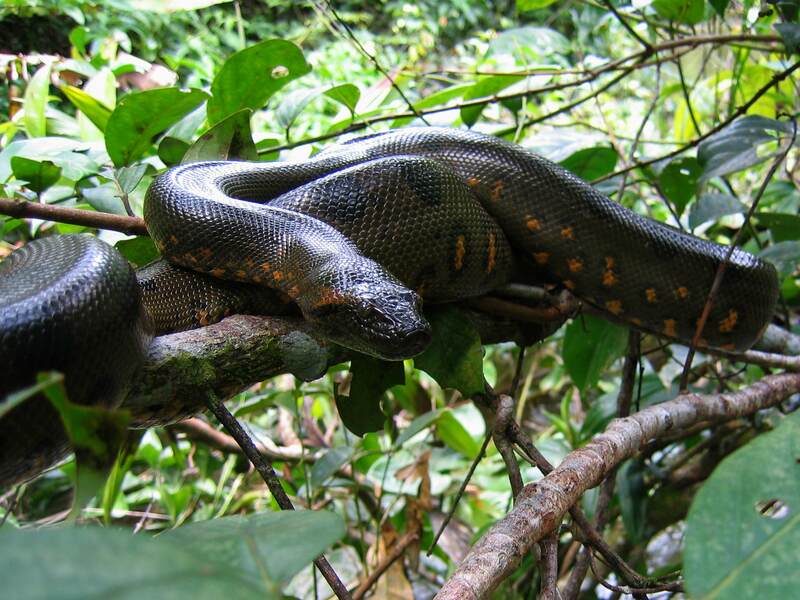 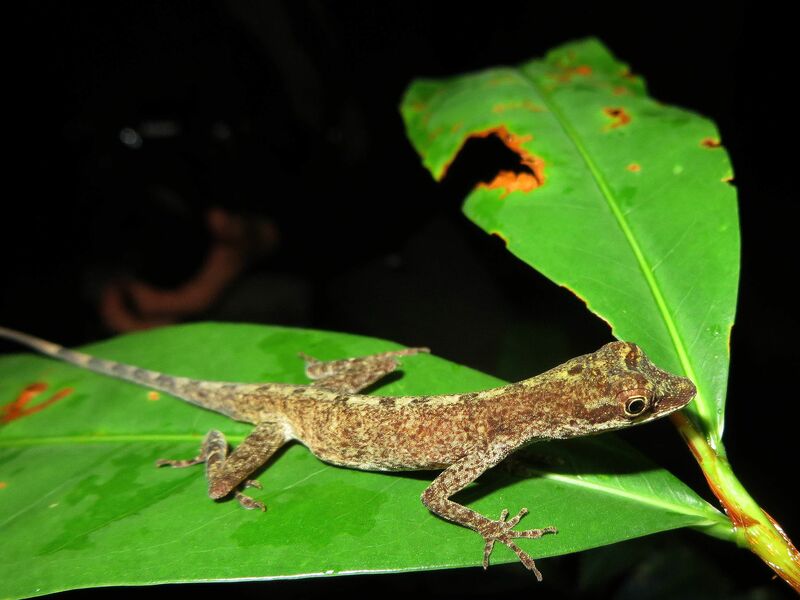 Animal Life of the Amazon River Basin of Ecuador includes 165 species of mammals, most of which occur in Cuyabeno. 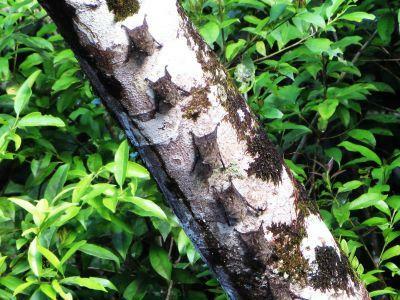 The most abundant group are the Bats, that you can see everywhere, followed by the rodents. 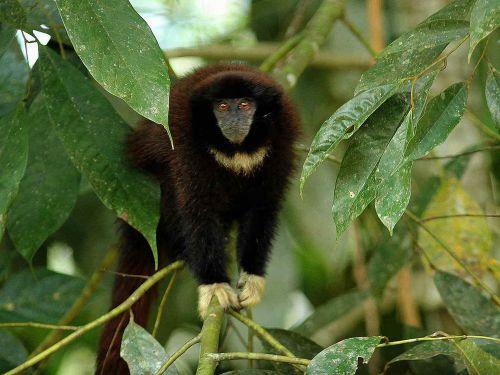 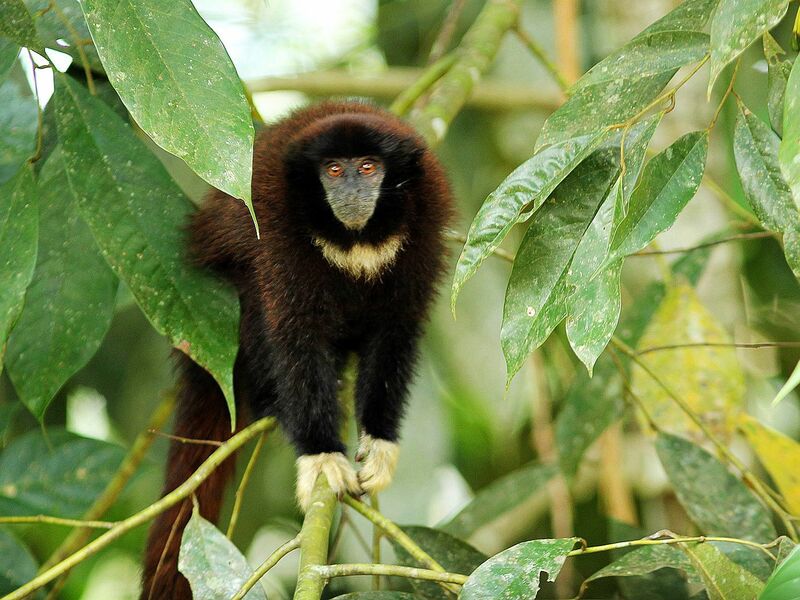 The Cuyabeno Reserve supports a primate community of as many as ten species: The world's smallest true monkey, Pygmy marmoset, Cebuella pygmaea, The Black Mantle Tamarin, Saguinus nigricollis, the Spix's Night Monkey, Aotus vociferans, the Coppery Titi Monkey, Callicebus cupreus, Yellow-handed Titi Monkey, Callicebus lucifer, the Collared Titi Monkey, Callicebus torquatus, the Monk Saki, Pithecia monachus, the Common Squirrel Monkey, Saimiri sciureus, the White-fronted Capuchin Monkey, Cebus albifrons, the Red Howler Monkey, Alouatta seniculus and the Brown Woolly Monkey, Lagothrix lagotricha, many of which can be seen regularly. Generalized birth peaks for all primate species occur in the dry season, from December through February. 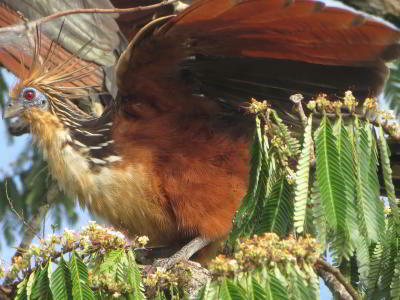 Among some of the groups, the callitrichids have a second birth peak in the middle of the rainy season from June through August. 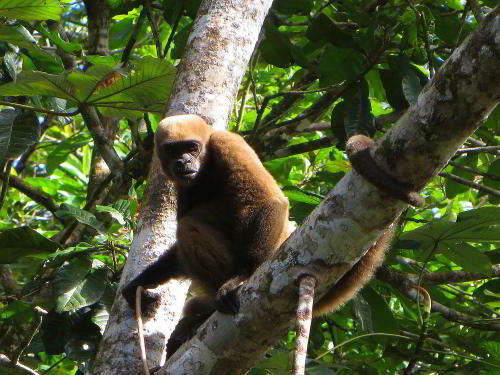 Above: Yellow-handed Titi Monkey, Callicebus lucifer, Below: Brown Woolly Monkey, Lagothrix lagotricha. 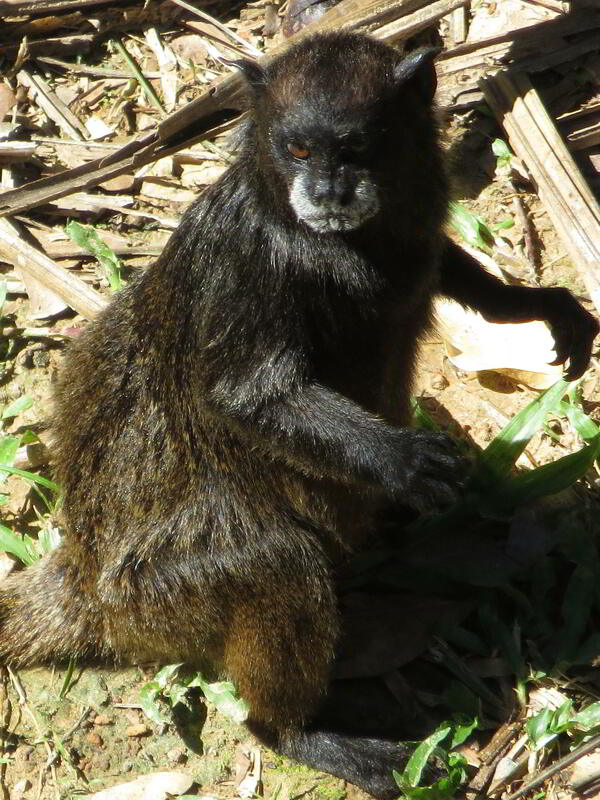 A group of Black-mantled Tamarins, Saguinus nigricollis, had taken residence at the Cuyabeno Lodge, visiting almost every day, until they were chased away by a group of spider monkeys. 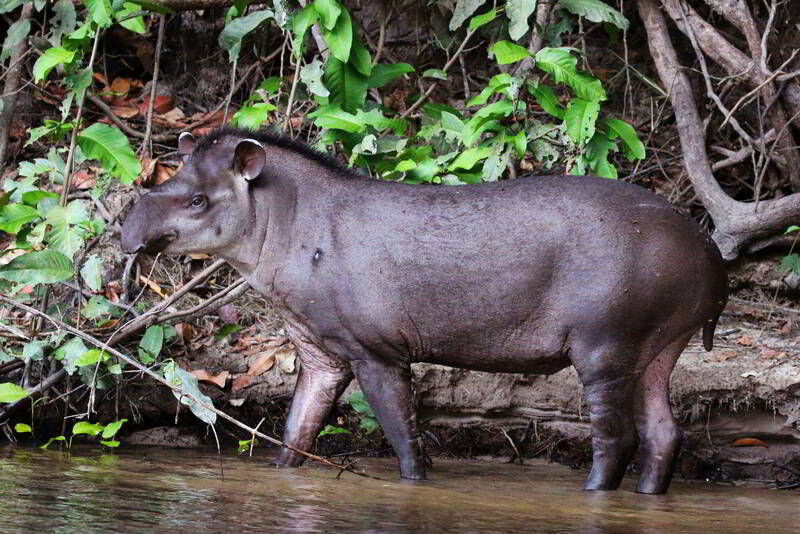 Tapirs, Tapirus terrestris, are terrestrial Amazon rainforest animals but they also are very happy in the water. Loved for their meat, they may still occasionally be hunted by the Indians in the Reserve. 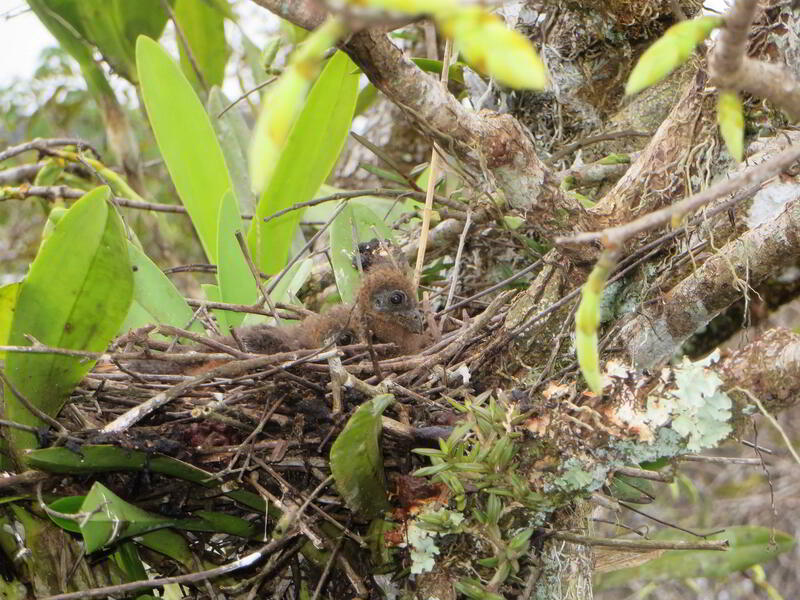 One rarely sees one in Cuyabeno, but they are there. Capybaras, Hydrochoerus hydrochaeris, are the largest rodents on earth. 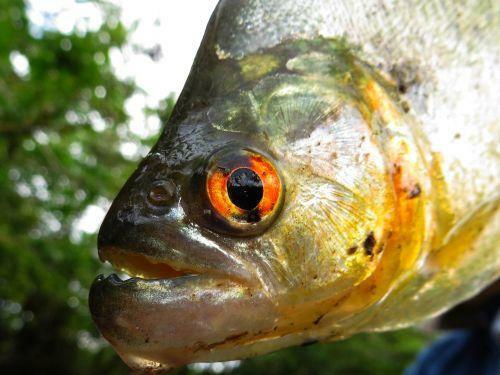 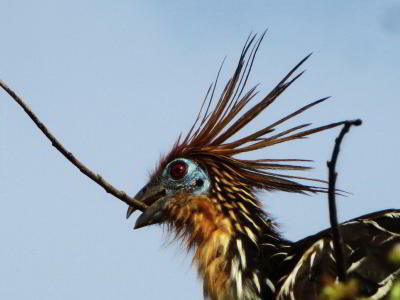 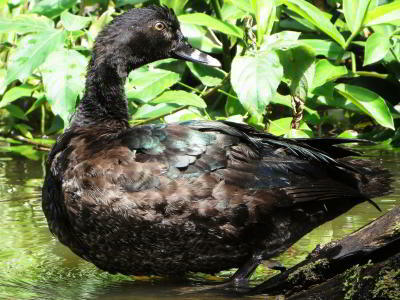 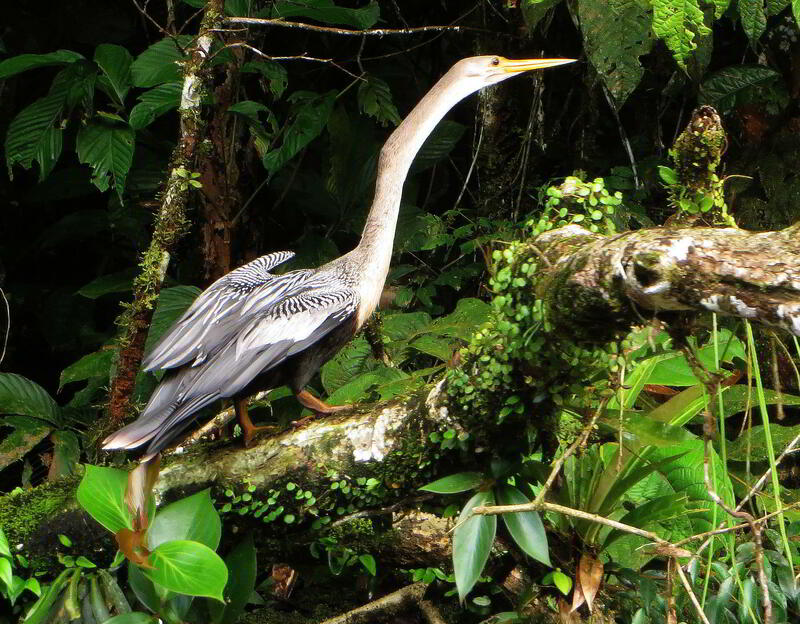 They live along the banks of rivers and can be frequently seen in Cuyabeno. Of course there are many other species of rodents, and often one can see porcupines. 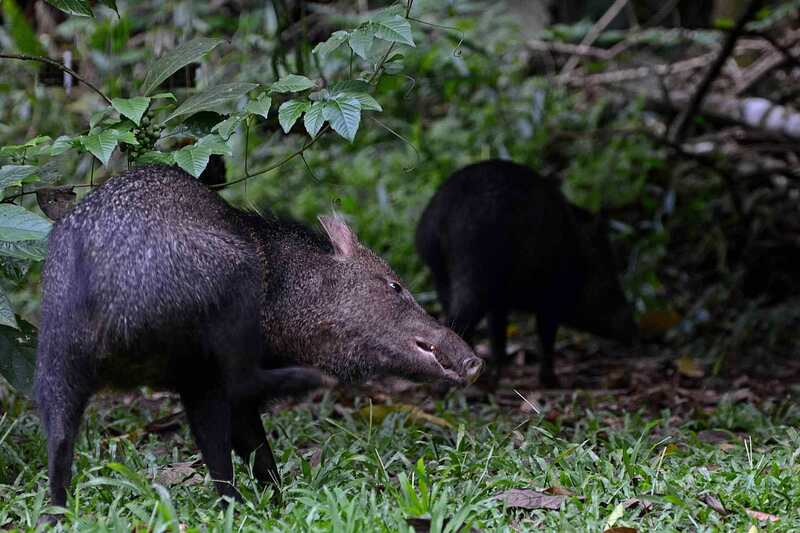 From the other hoofed Amazon rainforest animals, the peccaries are the most common. 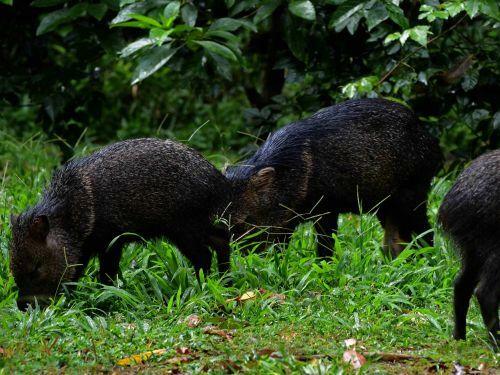 Both species, the Collared Peccary, Tayassu tajacu, and the White-lipped Peccary, T. pecari occur. 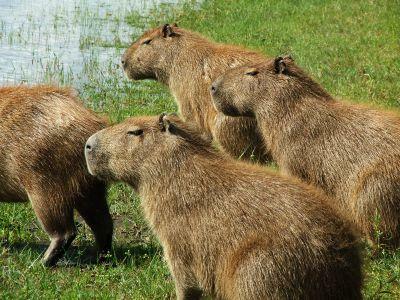 Other hoofed anymals are the omnipresent White Tailed Deer, Odocoileus virginianus, and the Brocket Deer, Manzama americana. 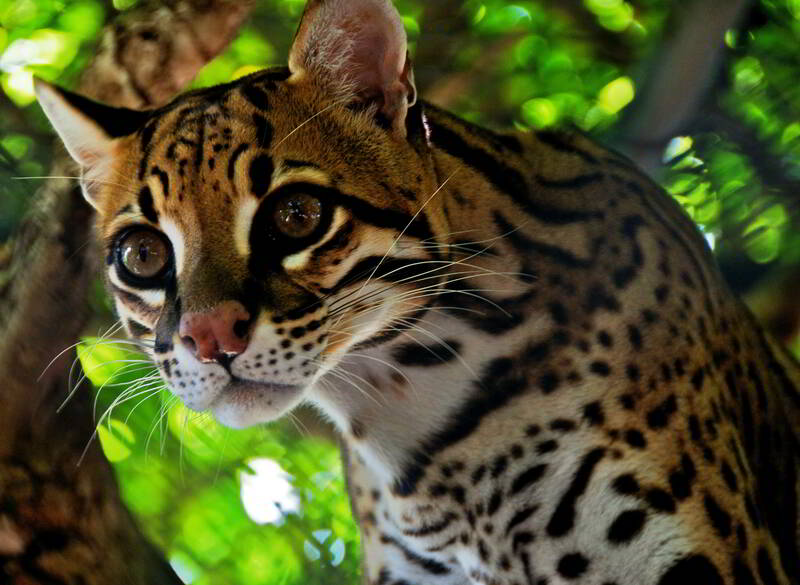 Both the Jaguar, Panthera onca, and the Ocelot, Leopardus pardalis, like water rich forests; Jaguars are known to actually like swimming. These, and several other species of cats are present in Cuyabeno. 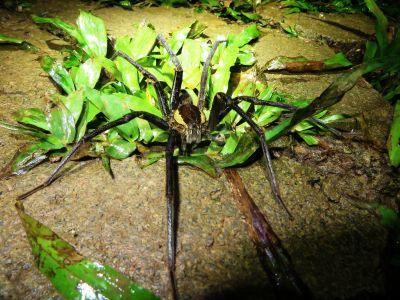 Particularly at night, you can see them sneaking across low hanging branches, when you go looking for crocodiles. 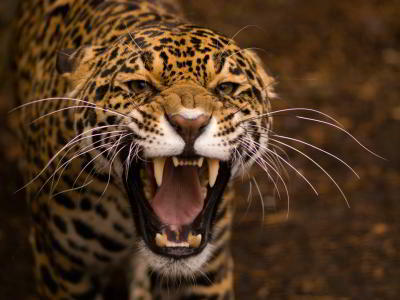 With a bit of luck, all of a sudden the eyes of a big cat are caught in your flashlight. Both Jaguars and Pumas, Panthera concolor, - which also live in the reserve - avoid people and are rarely seen, even by the indigenous people. 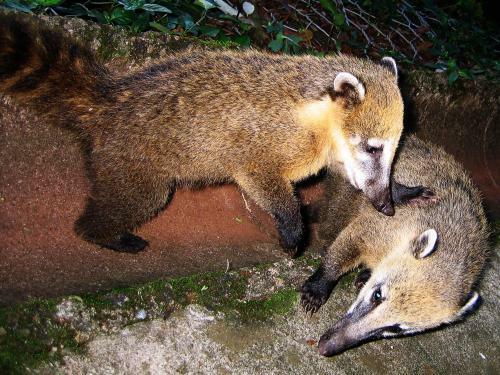 The South American coati, or ring-tailed coati, Nasua nasua, is a common predator in the Amazon region. 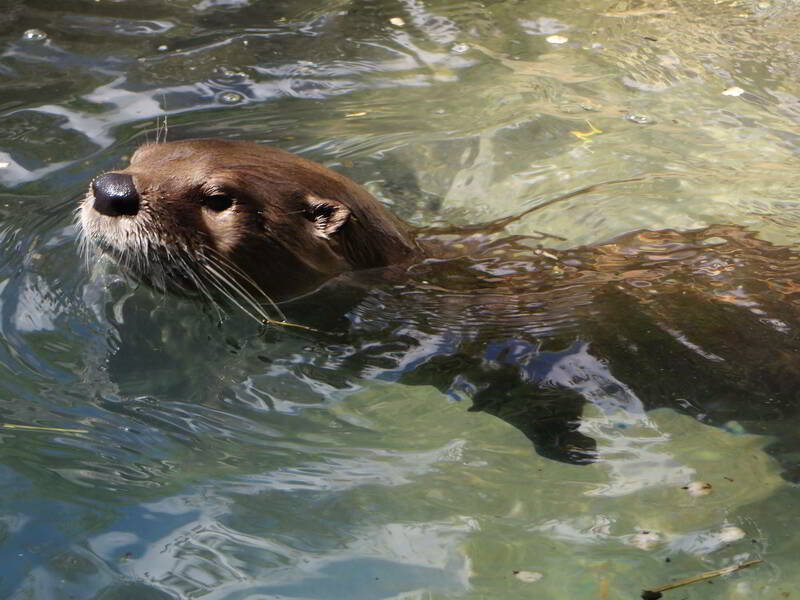 Both the Giant Otter, Pteronura brasiliensis, and the Neotropical Otter, Lutra longicaudis, have been observed in the park. No members of the dog family are known to live in Cuyabeno. The Pink Amazon Dolphin, Inia geoffrensis, can be recognized by its hump-shaped dorsal fin and the more pronounced hump on its head and longer snout. 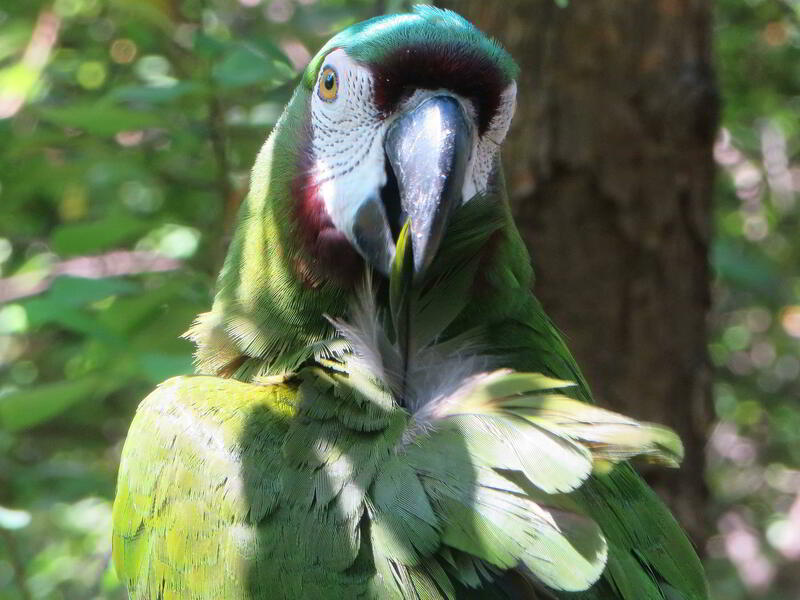 Particularly the males may be pink, but often at Cuyabeno they are rather gray. The Pink Amazon Dolphin can turn its head 90 degrees each way. 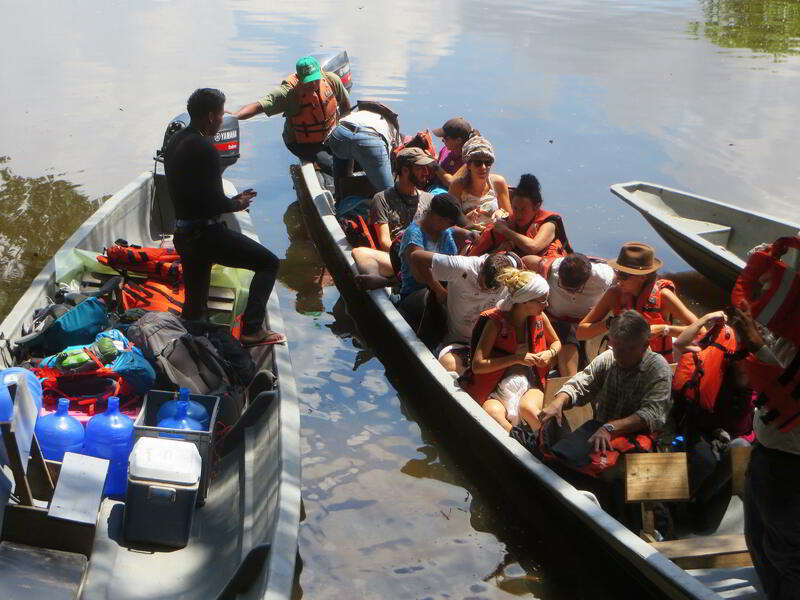 Dolphins can be seen almost daily at the Cuyabeno Great Lake, darting around the canoe and sometimes swimming with the swimmers. 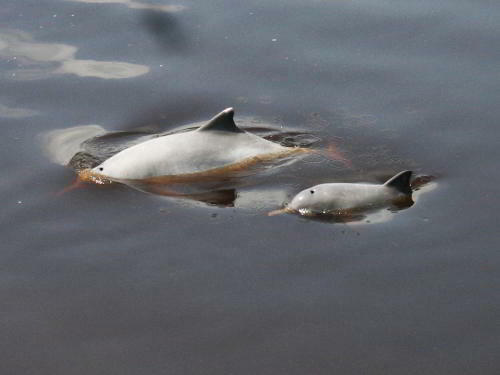 The Gray Amazon Dolphin or Tucuxi, Sotalia fluviatilis, can be recognized by its shark-like triangular dorsal fin. Its belly is lighter and varies from light grey to pinkish. 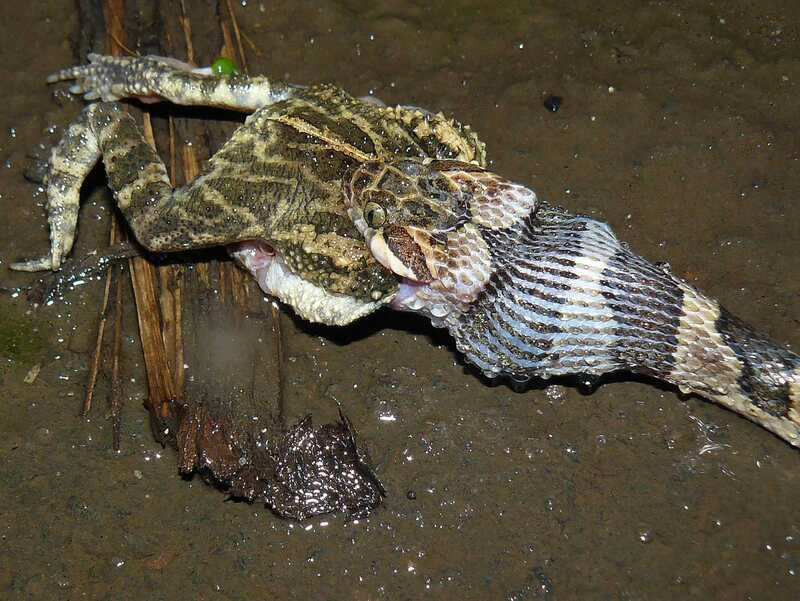 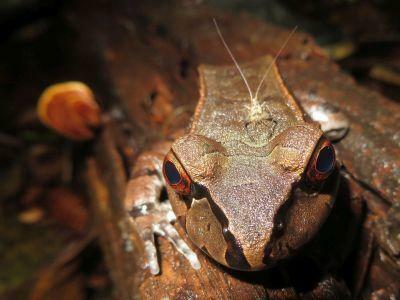 It has a closely related relative in the coastal waters of South America, but that species does not swim as deeply into the Amazon region as the Tucuxi. 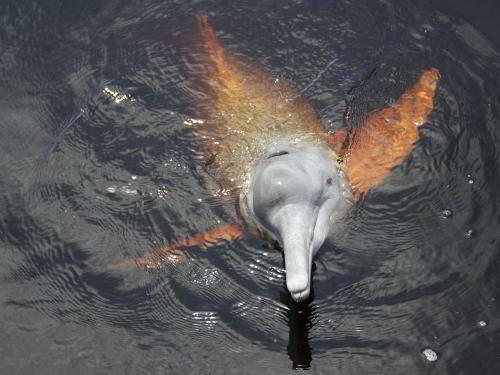 More so than the Pink Amazon Dolphin, Tucuxis tend to jump out of the water. 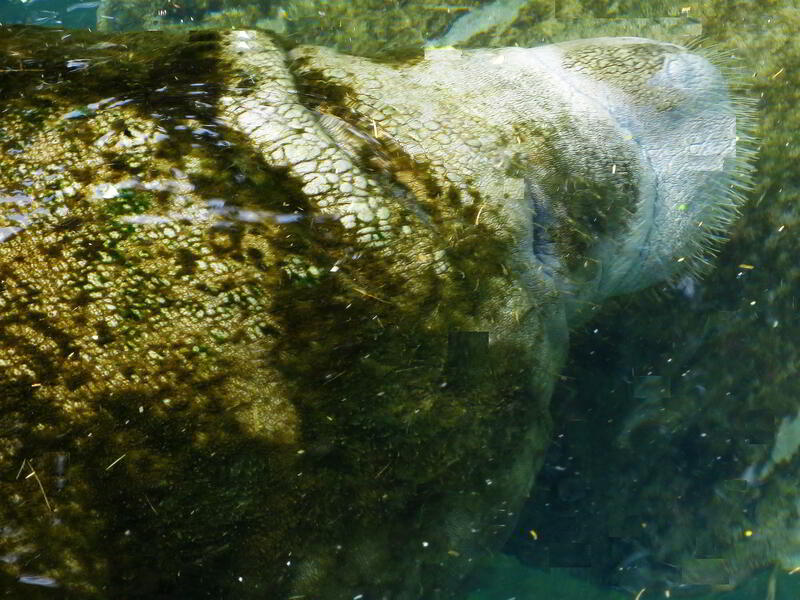 The Amazonian Manatee, Trichechus inunguis, is a species of manatee that lives in the freshwaters rivers and lakes of the Amazon basin and supposedly never leaves for the sea. 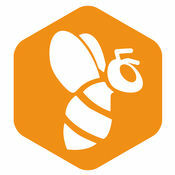 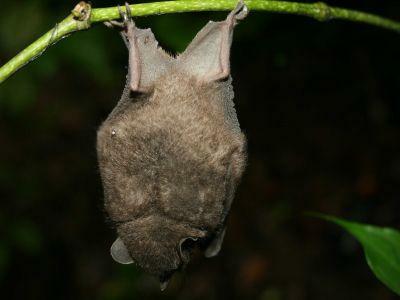 It is found in Brazil, Peru, Colombia, Ecuador, Guyana, and Venezuela. It is closely related to the West Indian Manatee, that also ventures up the Amazon River, but never as deeply inland as the Amazonian Manatee. 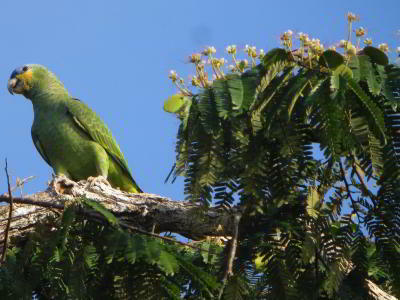 They are regular visitors of Cuyabeno. 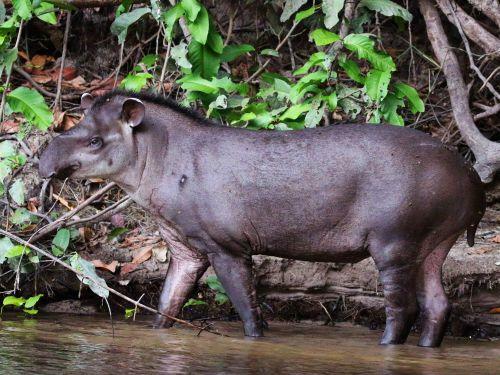 Their meat is highly appreciated by the Siona Indians, but we hope that we have convinced them to no longer hunt them, as they have great tourism value. 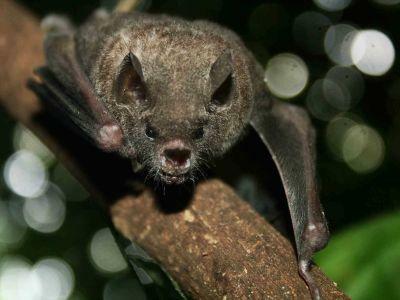 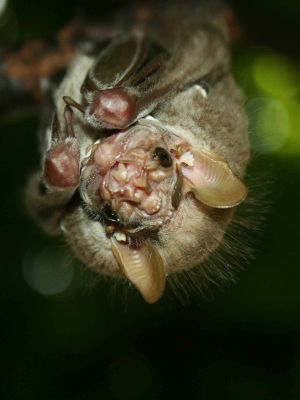 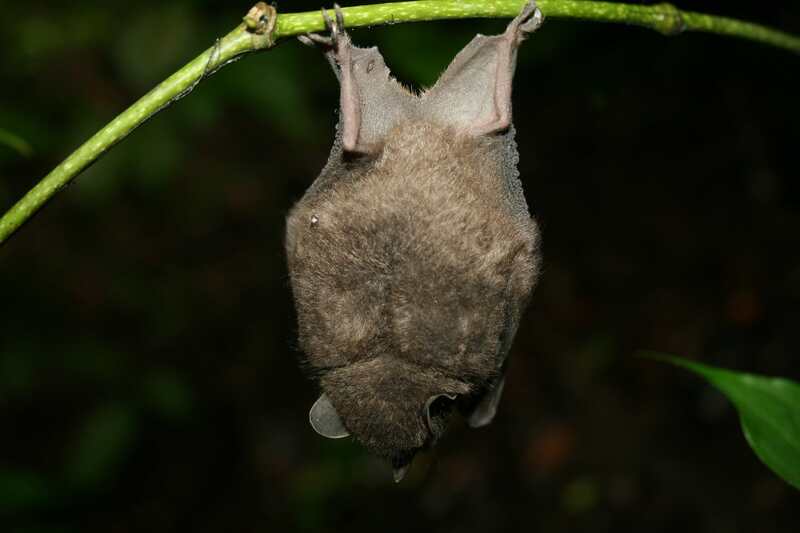 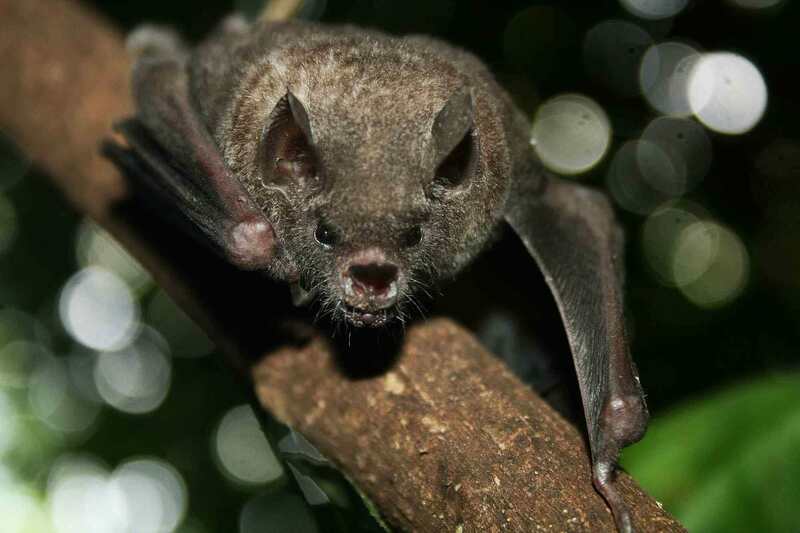 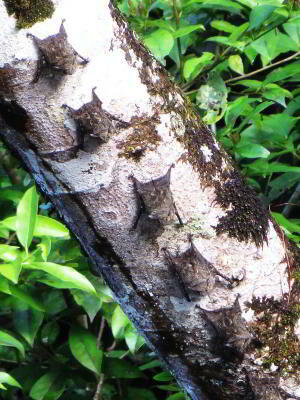 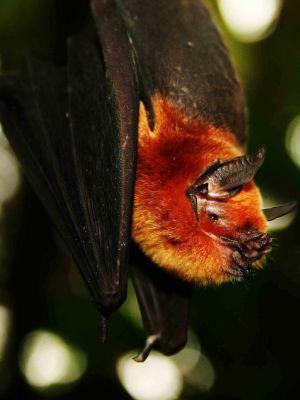 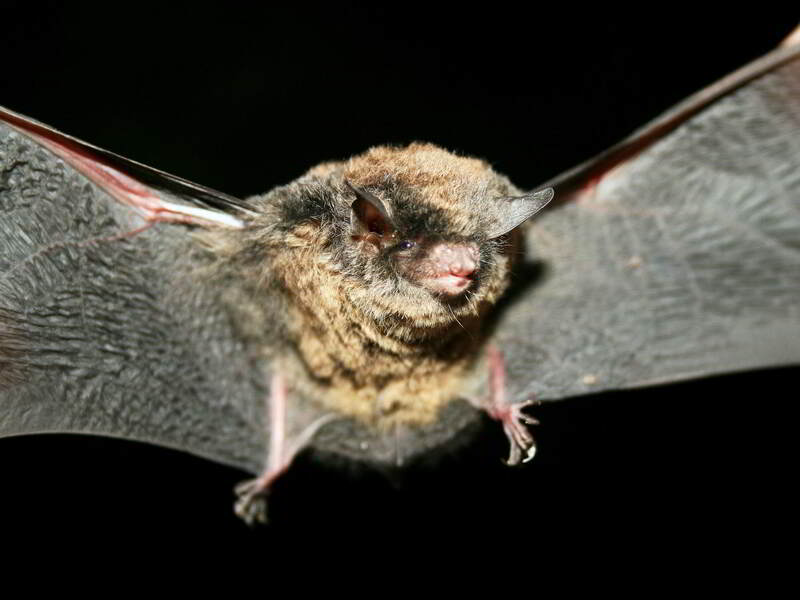 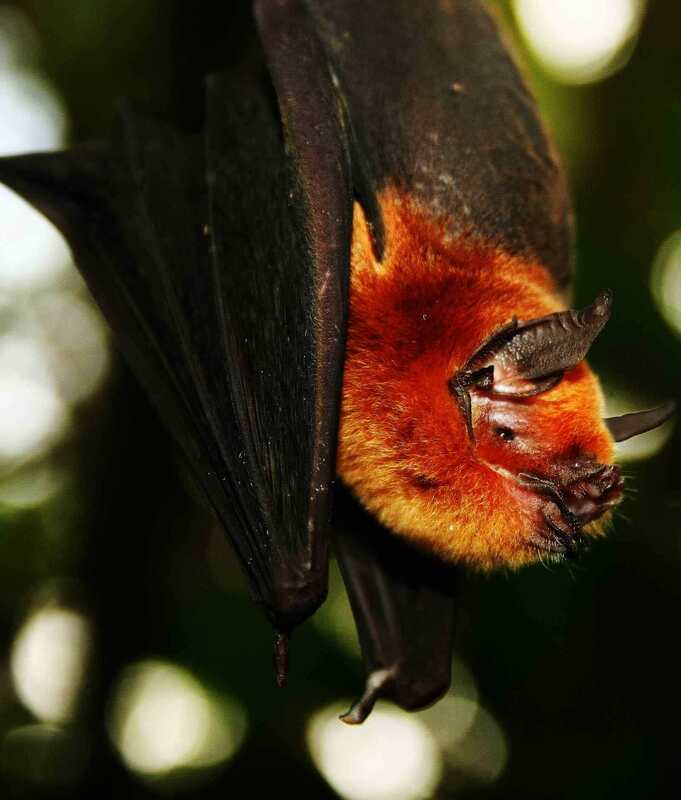 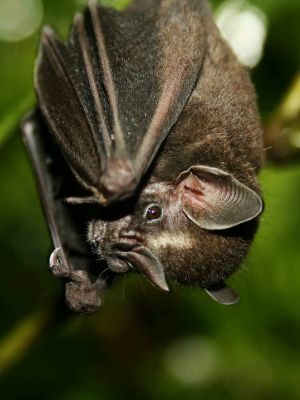 There are numerous species of bats in the rainforest. Of course, at night you can see them fly in great numbers in the sky. 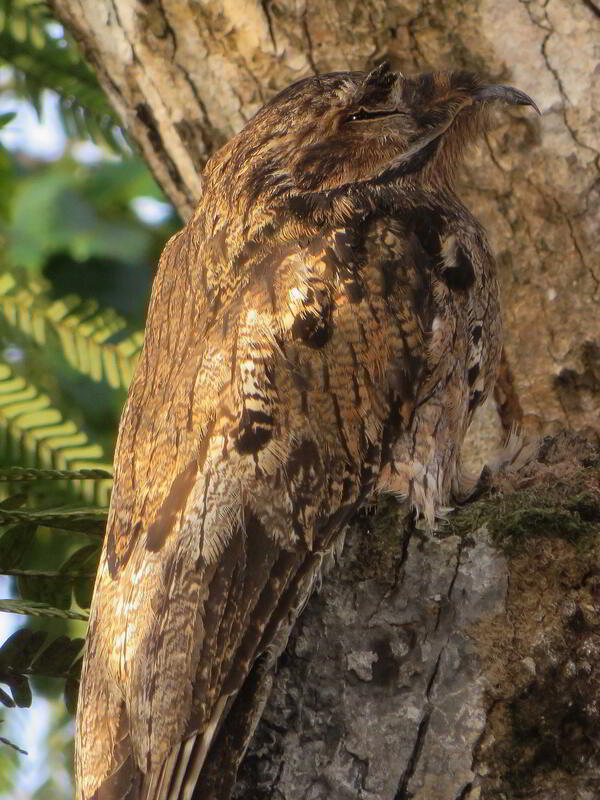 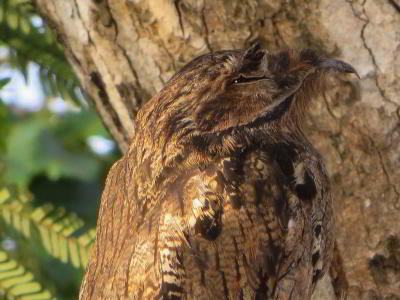 But in daytime too, you can see quite a few of them. 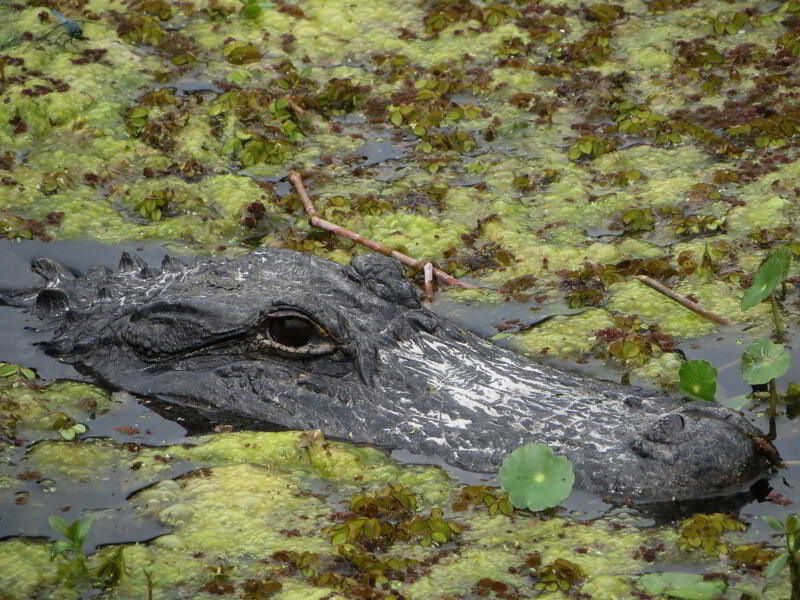 Some species hang from low braches above the water, and when you pass by them, they may flya off their resting places and you get to see them from quite nearby. These pictures have been taken by biologists during a bat field study. 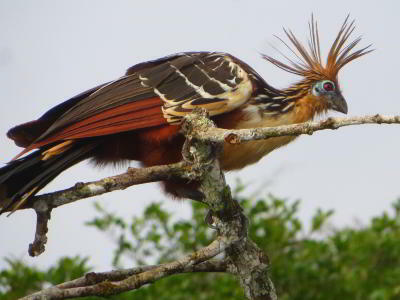 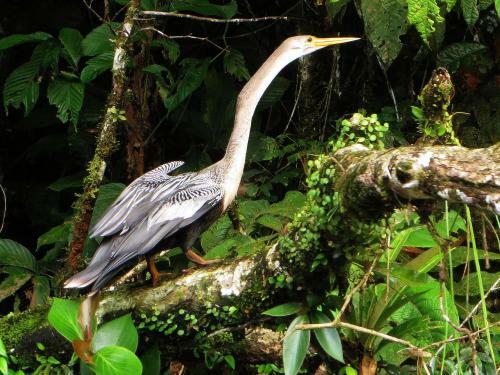 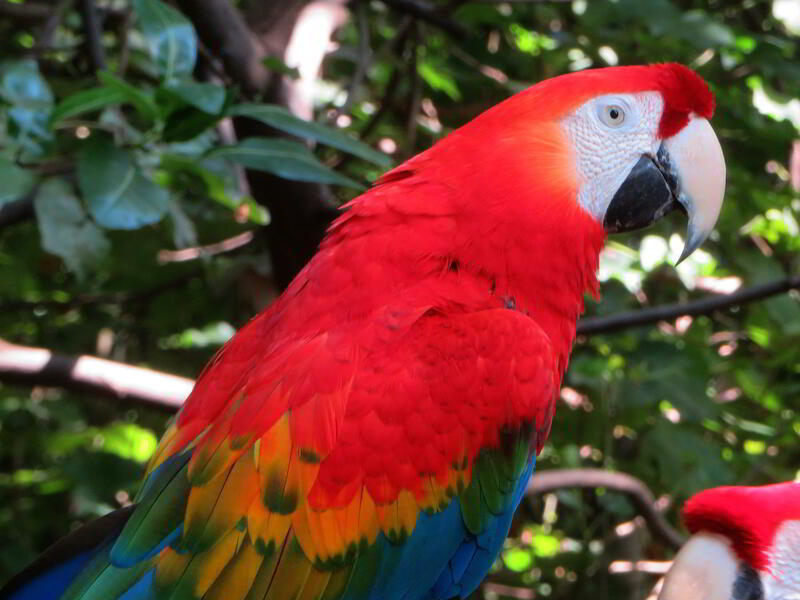 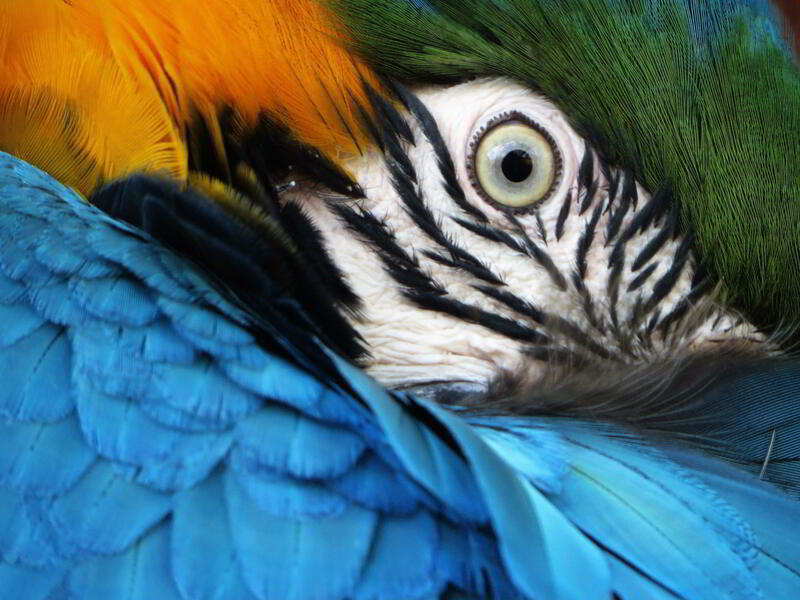 Birds are the jewels of the Ecuador Amazon rainforest animals, At present, more than 540 species of birds have been registered for Cuyabeno, but there are many more species that have not yet been officially registered. Both the Cofan Indian guides and the guides of the Cuyabeno Lodge, are renowned for their knowledge about birds as well as other Amazon Rainforest Animals and Amazon Rain forest Plants. 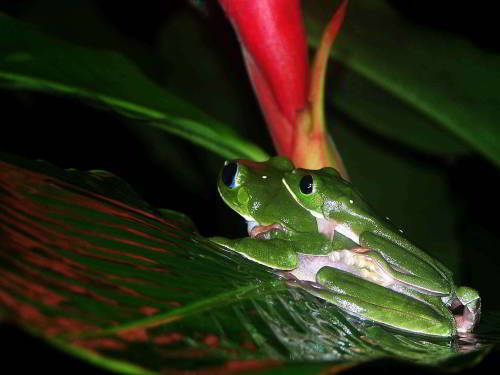 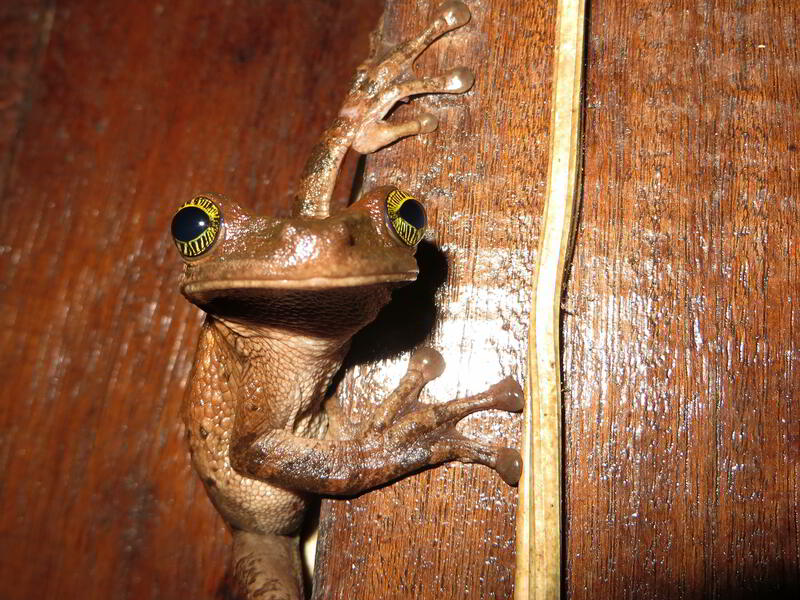 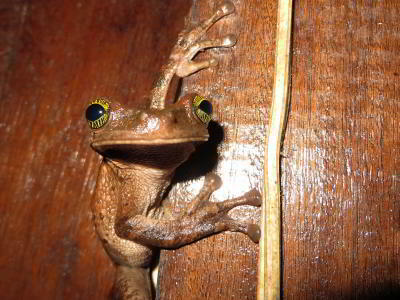 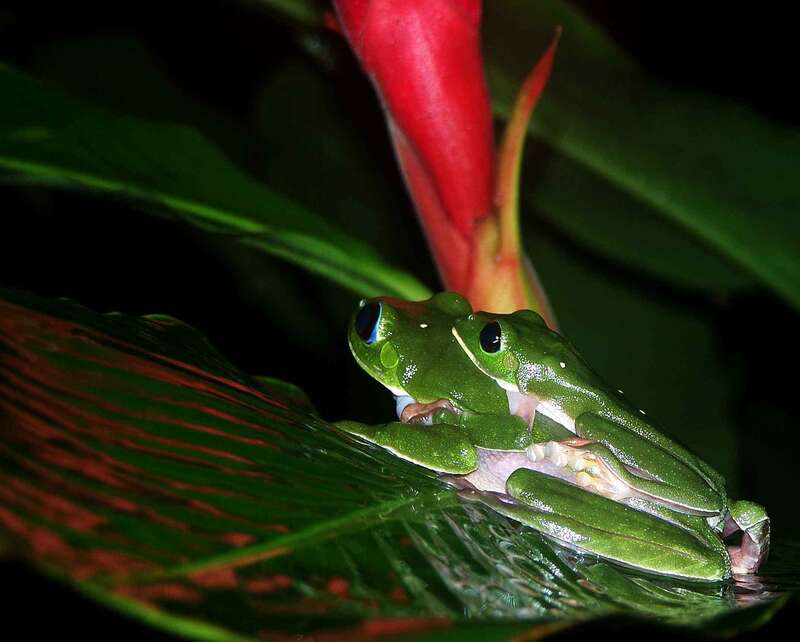 Frogs and toads are extremely common in the Amazon Rainforest. 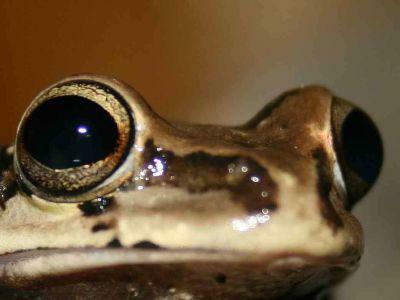 In fact, most of the nightly concerts are sung by amphibians! 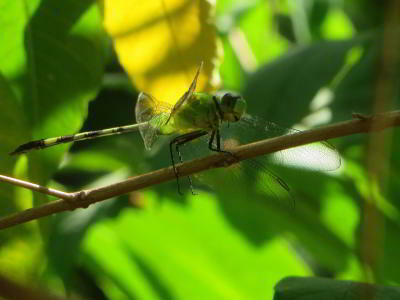 Unless you know how and where to look for them, you rarely see them though. 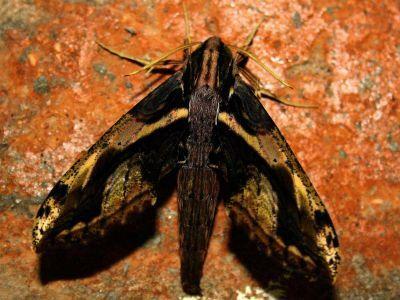 Some of those noisy critters are no more than one or two centimeters and they have perfect hiding colors. 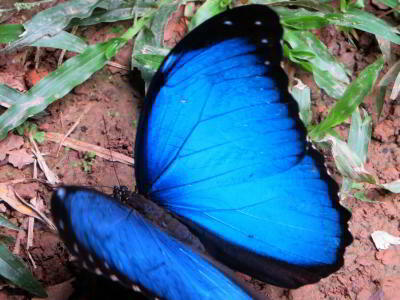 As soon as they notice you, they keep quiet, but the moment you are gone, they resume their song. 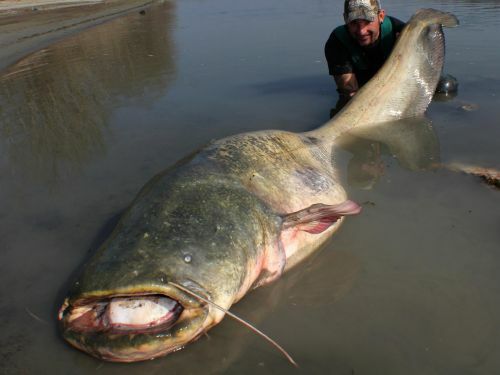 While fishing is no longer allowed in the park, other than by the Indians for personal consumption, there are a great number of fishes, including the infamous pira�as, as well as the gigantic Paiches and Amazon Catfish. 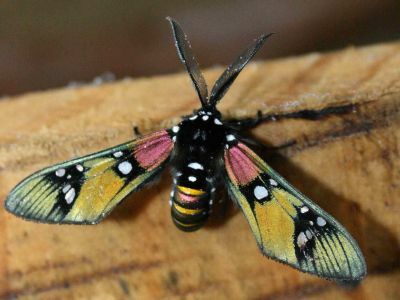 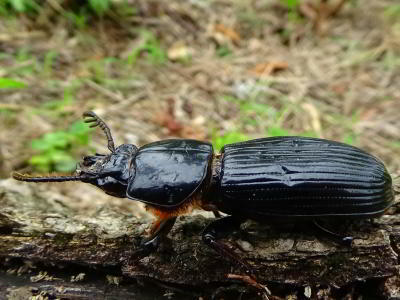 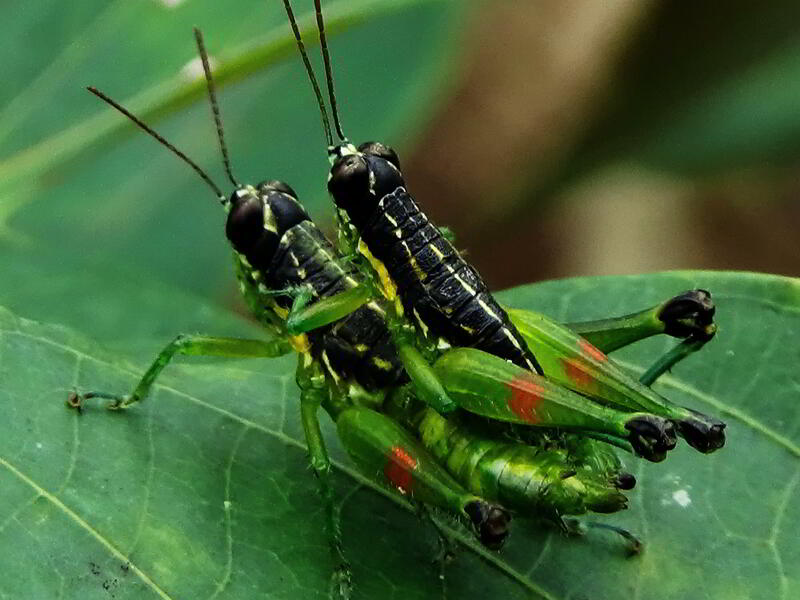 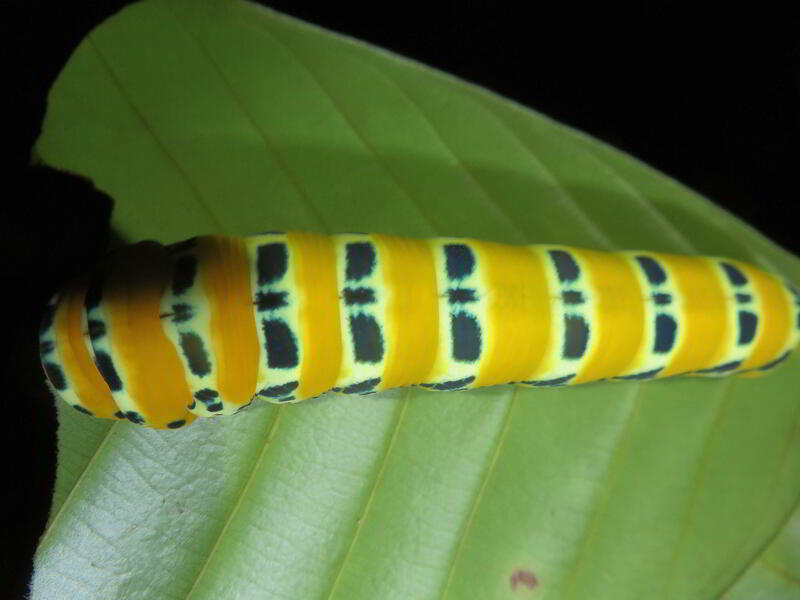 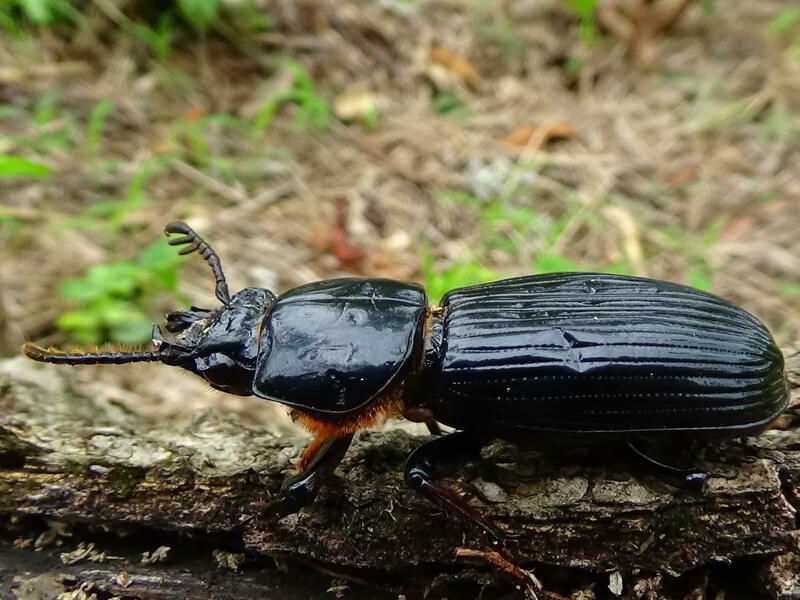 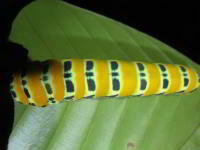 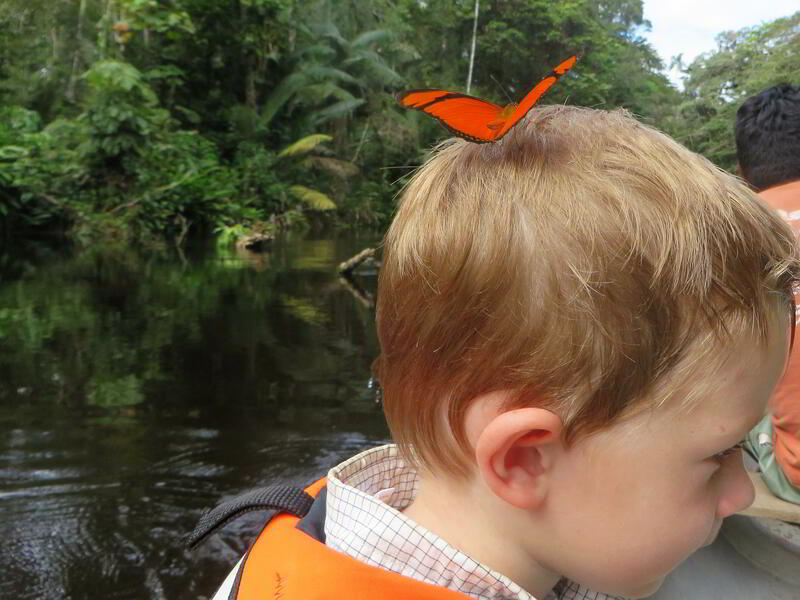 Of course the rainforest is home to a fabulous variety of the most wonderful insects, big and small: colorful moths and butterflies, odd shaped beetles, dragonflies, grasshoppers, etc. 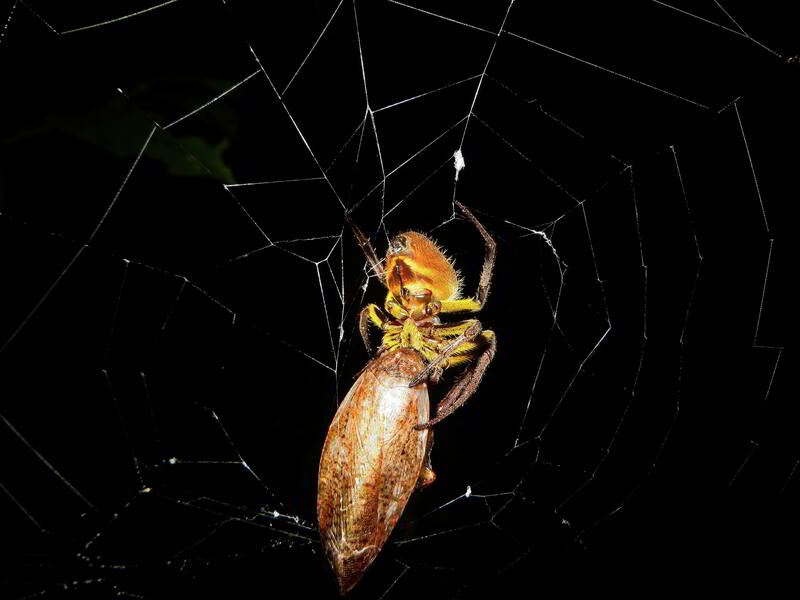 For insects, every night is different. 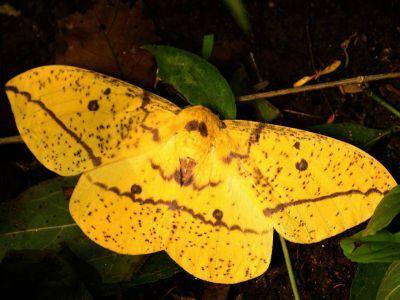 Some nights our lights attract great numbers of very different insects, while other nights insects abound, but most of them only belonging to only a few species. 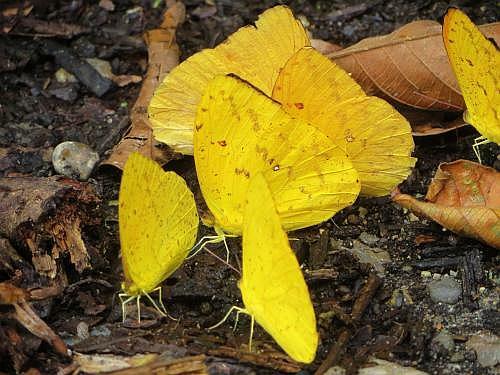 Of butterflies are well-represented. 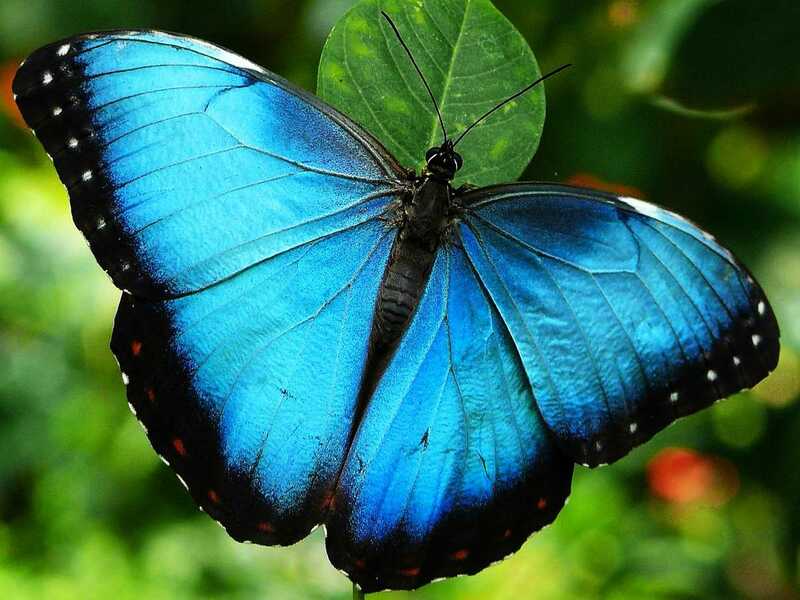 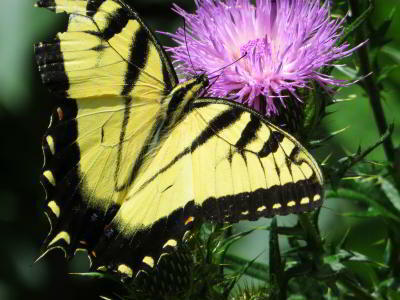 Many diurnal butterflies like to gather at specific places, supposedly to nourish themselves with minerals. 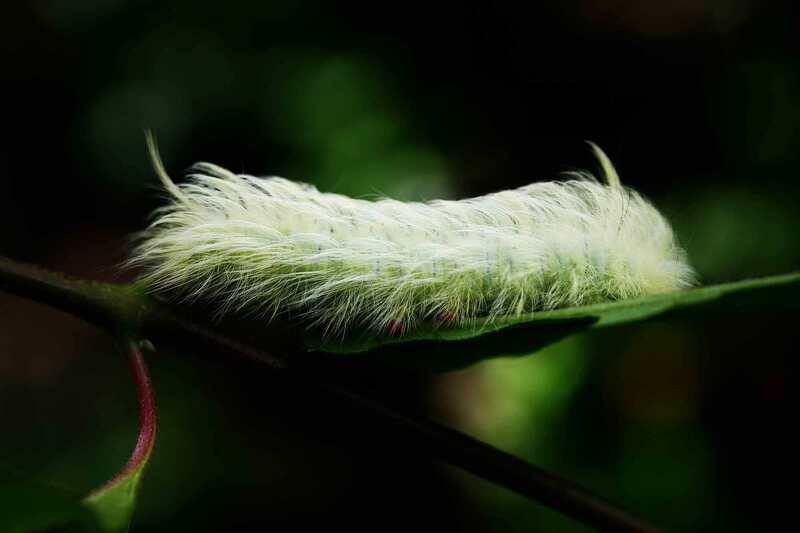 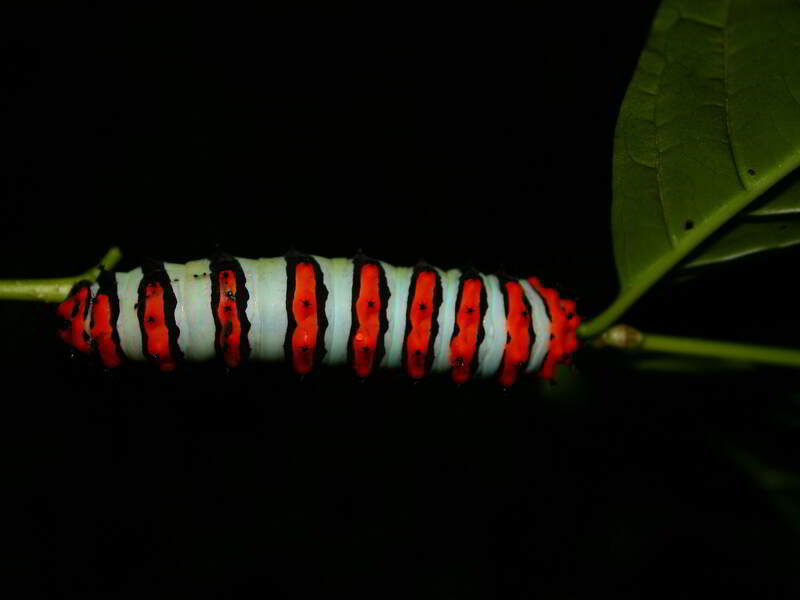 Their caterpillars appear in amazing shapes and colors and are always a thankful subject for photographers. 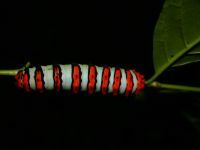 During our nightly excursions, we go looking for nocturnal insects on the ground. 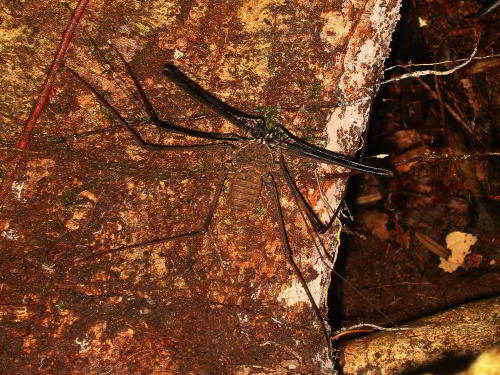 Cuyabeno has some really strange looking critters that you only can see at night with flashlights. 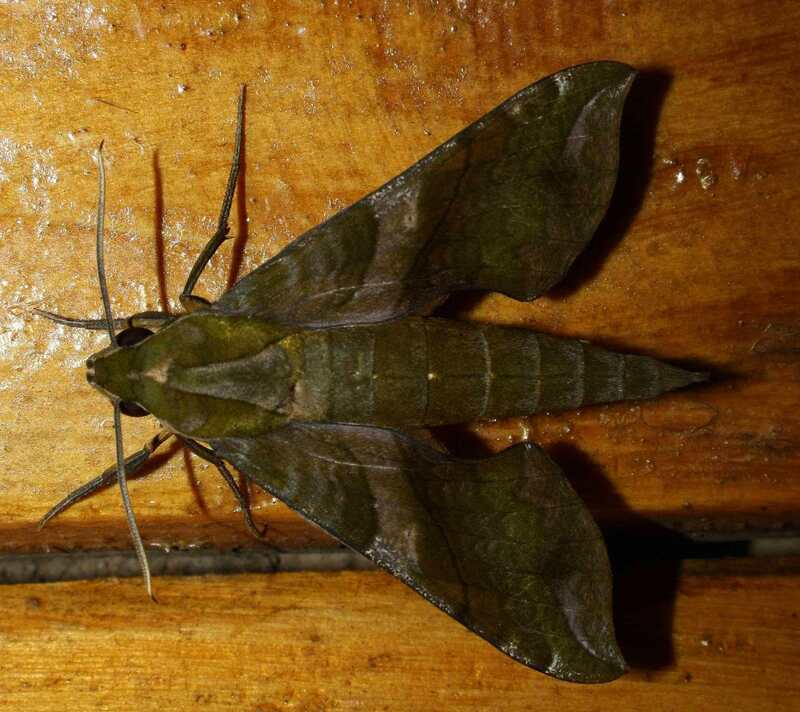 Some evenings, insects come in great variety, while other evenings, only a few different species fly about. Particularly the moths that come after the lights of the lodge, are of great beauty and if you are lucky, you may see a few of these species of the "hummingbirds" of the insect world show off their incredibly rapid wing beats. 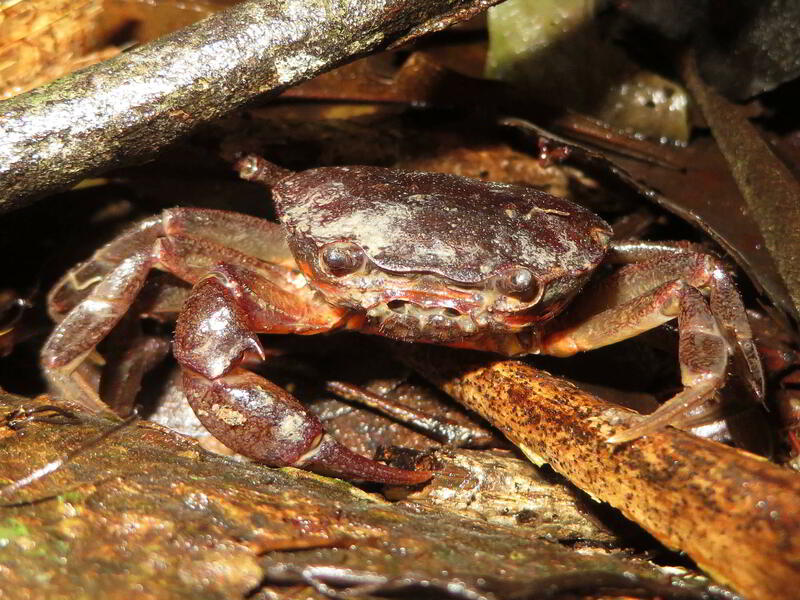 At a distance of 3000 km from the sea, there are fresh water crabs in the Amazon. 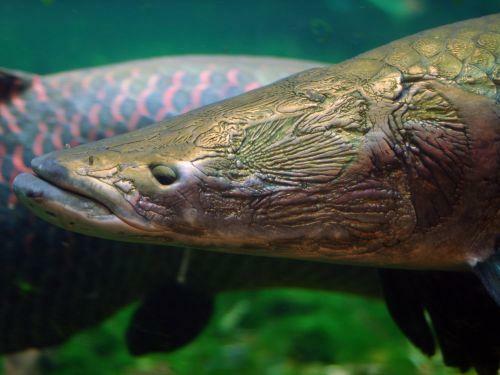 Are they there from ancient days when the Amazon was under the Atlantic Ocean, or did they adapt to fresh water and migrated upstream? 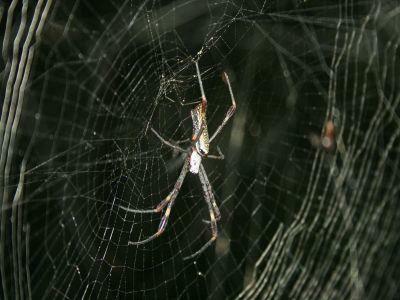 Whip spiders are closest related to the spiders, but are still quite different. 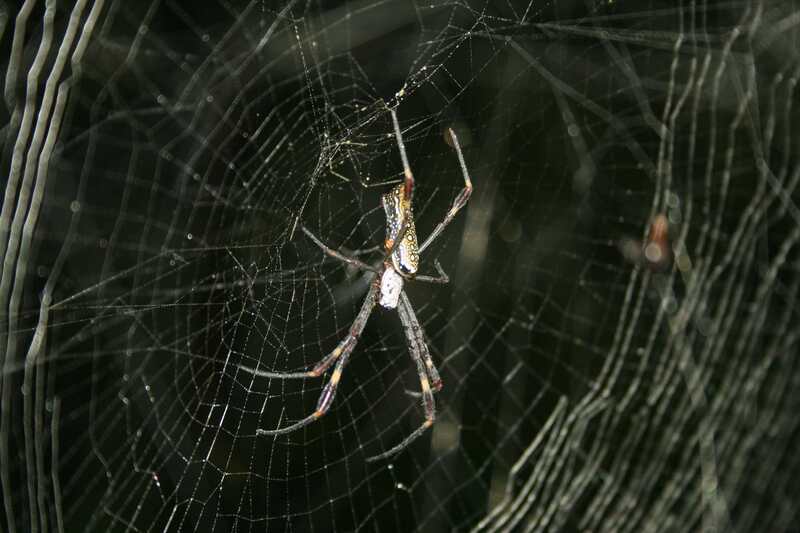 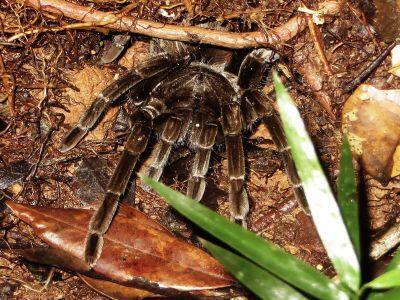 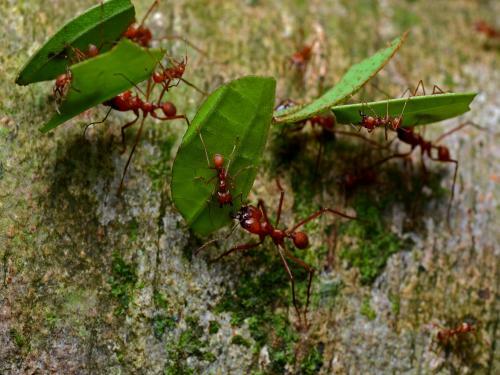 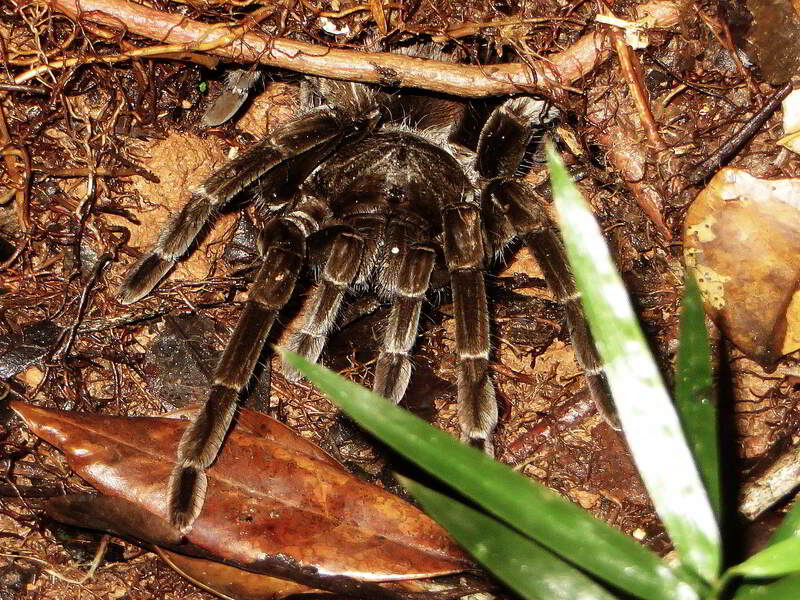 They have no silk glands and are different from scorpions by lacking a poisonous tail. They are totally harmless to people. 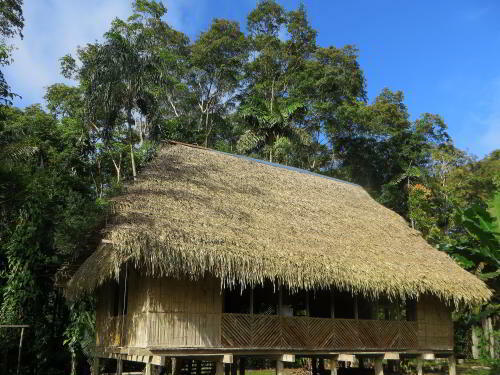 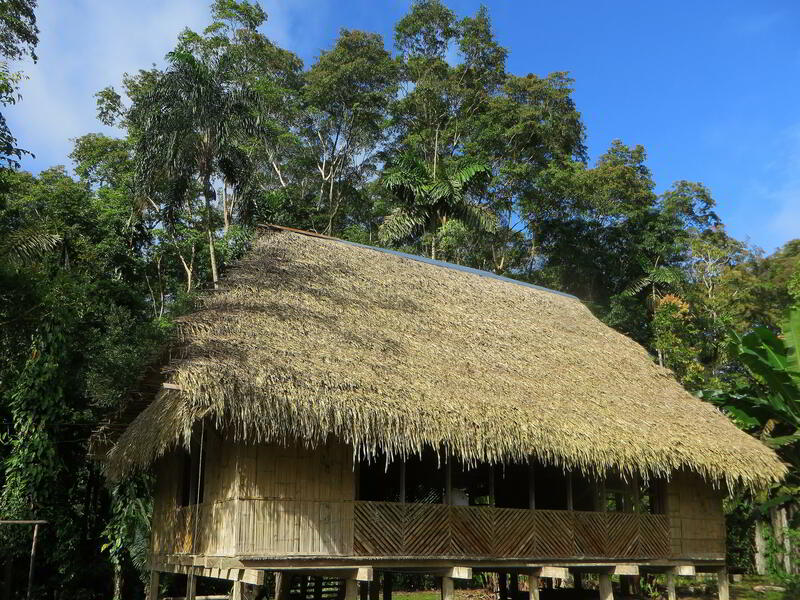 The traditional restaurant of the Cofan Lodge serves both international as well as a few traditional dishes. 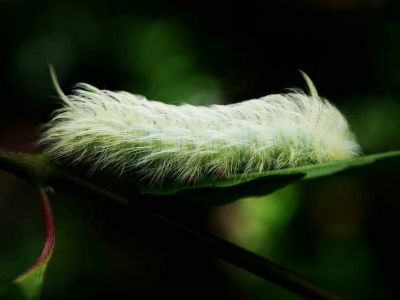 For detailed information on climate and weather conditions read: climate in the Amazon of Ecuador. 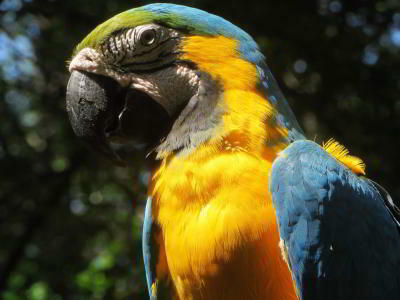 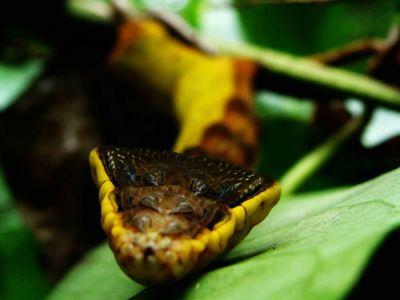 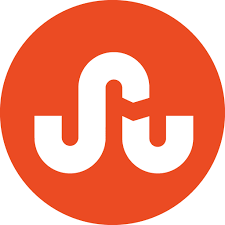 Click here to find out how you can watch these fantastic Amazon Rainforest animals Ecuador, yourself.